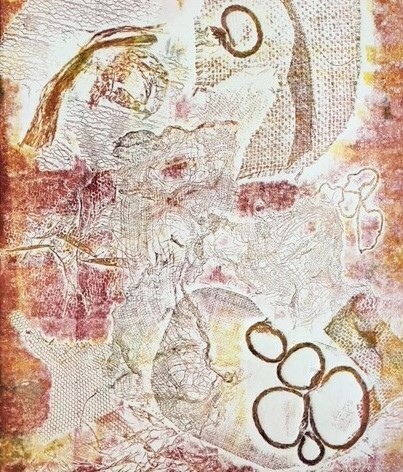 Learn how to create an edition of textured prints using the collograph technique. You’ll use oil based inks, a variety of textured materials and tapes and learn how to use our large etching press to create a series of unique prints onto A4 paper. You’ll be guided step by step through the process in our fully equipped Print Studio. This workshop is ideal for complete beginners or those who have some previous experience in printmaking and would like to refresh their skills. Those with some prior printmaking experience may wish to use the workshop to gain tutor advice and guidance and become familiar with our Print Studio. All materials and equipment will be provided. This will include card, textured tapes and found materials, oil based inks and A4 cartridge paper. If you have any images you wish to use for inspiration feel free to bring these along. Workshop and course bookings may be cancelled up to 10 working days before the scheduled start date. Our commercial workshops support the work we do as a charity, and because materials and equipment are ordered in advance, we regret that refunds cannot be offered less than ten working days before the workshop date. In the event that The Art House needs to cancel a workshop, your ticket will be refunded in full. Bookings cannot be transferred between courses however bookings can be transferred to another person in the event that you are unable to attend on the day.